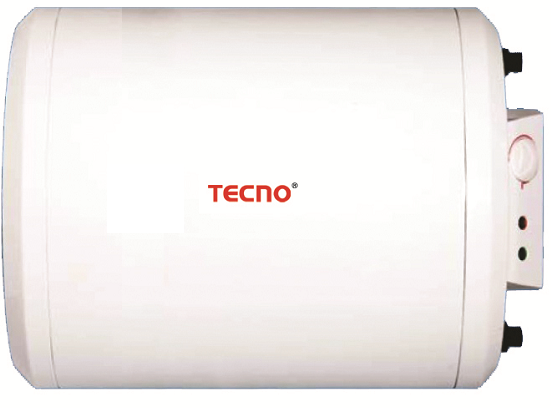 This is the smallest capacity model from Tecno's range of horizontal storage water heater even though the manual states that there is an even smaller capacity model (25 L) as well as various other capacities. 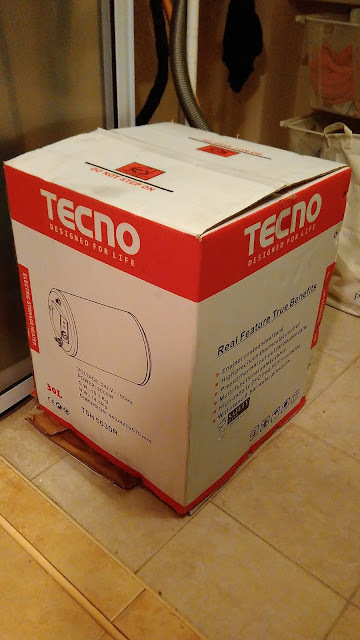 Tecno however only sells the 30 L, 50 L and 90 L models. It comes complete with all the necessary accessories including the installation brackets and mounting screws. The tank can be mounted on the left or right and on the floor or ceiling therefore placement shouldn't be a problem. 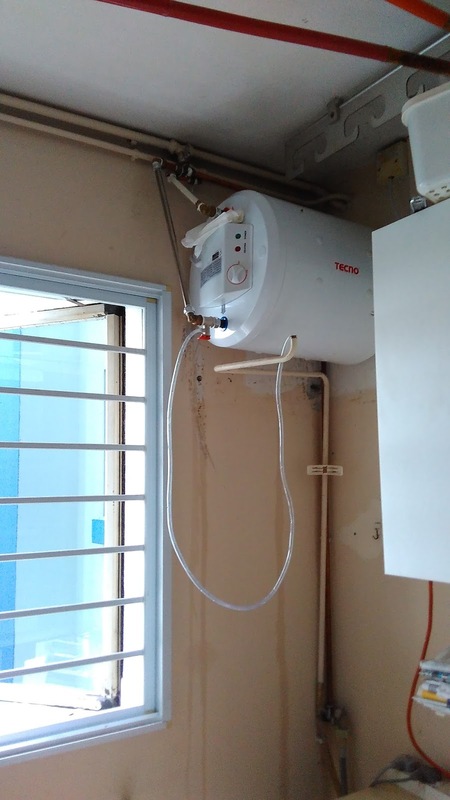 According to the manual, it is energy saving as the temperature of the heated water will be maintained up to 2 days after the heater is powered off. I recently purchased the heater from Lazada for $178 nett after using a promo code that knocks some bucks off the actual price together with their free delivery promo on their app. 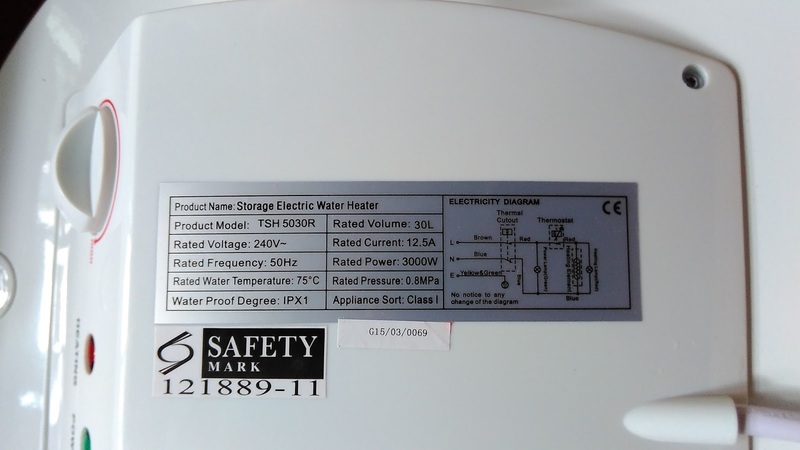 Warranty is only for 1 year for heating element but 5 years for the tank itself. 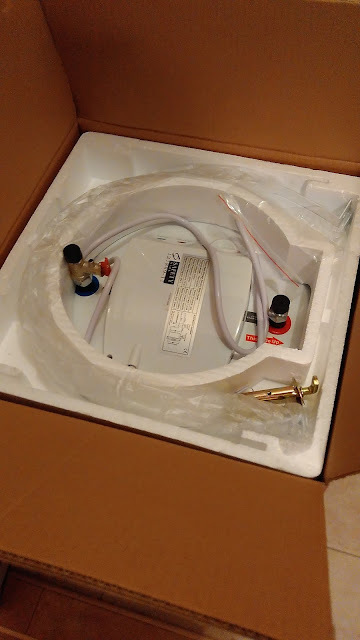 The box includes all the necessary accessories to have it installed, including brackets, wall mounting screws etc. The technical ratings on the control panel which is configured for right side mount. If you plan to mount on the left side, you have to rotate the control panel face plate. 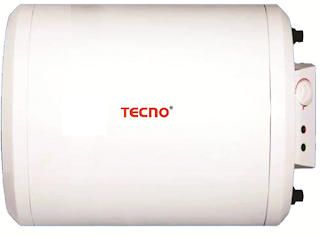 The simple control panel consists of a dial for temperature settings and light indicators for heating and power. The IPX1 water proof degree means the heater can have water dripping (vertically) on it with no harmful effect when tested for 10 minutes with water equivalent to 1 mm rainfall per minute. Incoloy is a superalloy designed for excellent corrosion resistance as well as strength at high temperatures.